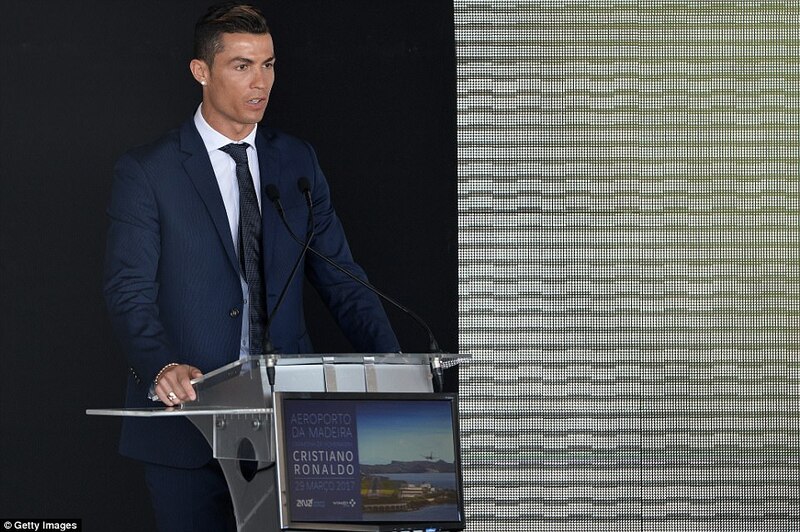 The Real Madrid superstar is back in his island homeland, having played for Portugal here on Tuesday night followed by Wednesday morning’s ceremony. 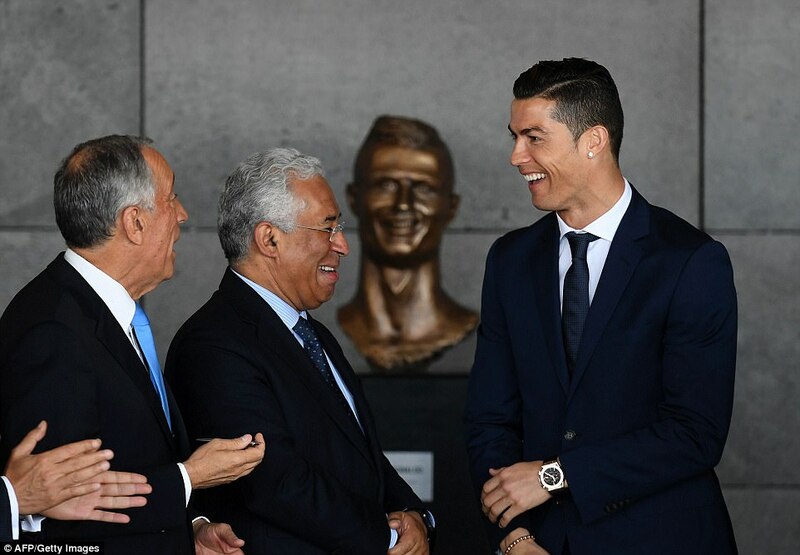 Accompanied by his mother Maria Aveiro, girlfriend Georgina Rodriguez and son Cristiano Jnr, he beamed with pride following a couple of days all about him — and was accompanied by a bronze bust of his head which now sits outside the arrivals terminal. 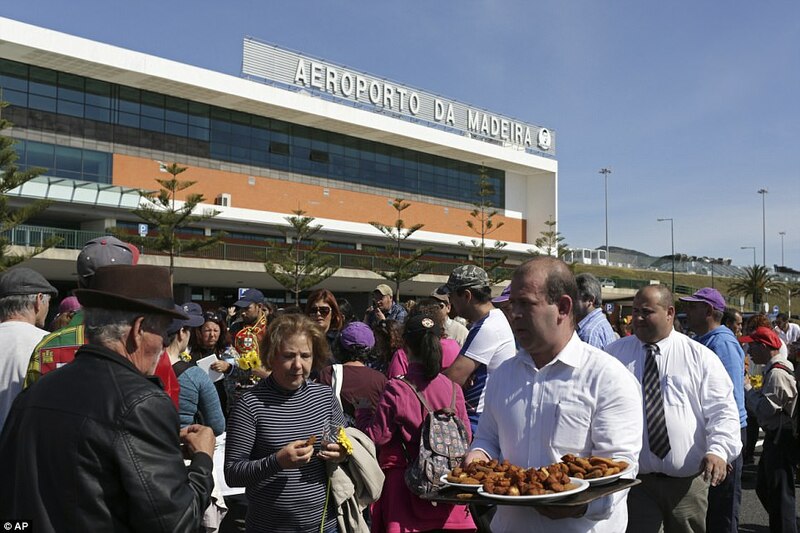 The airport renaming follows Ronaldo’s homecoming game with the national team, a return to Madeira’s capital Funchal — where Portugal had not played for 16 years. Some locals, though, have expressed concerns that a landmark such as an airport should not be named after a sportsman — no matter their stature — although the move is expected to boost tourism on the island. 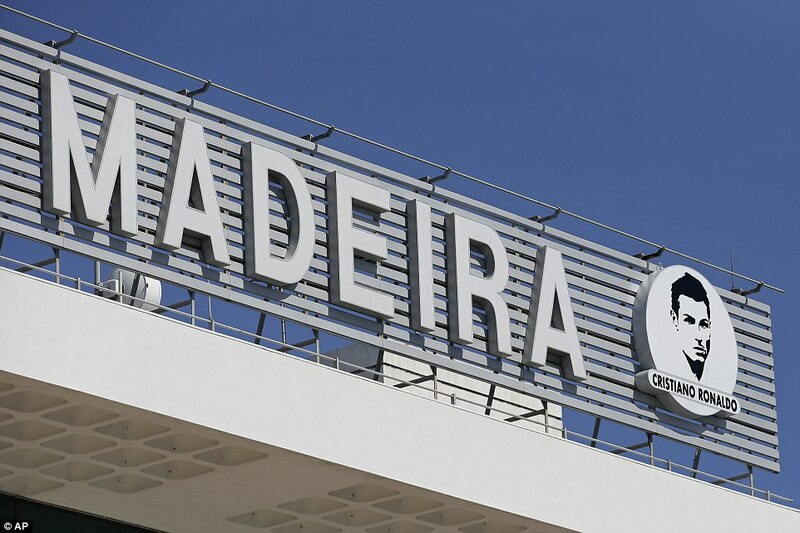 Portugal’s major airport, Lisbon’s Humberto Delgado, takes its name from a former air force general and famous politician in Portugal. 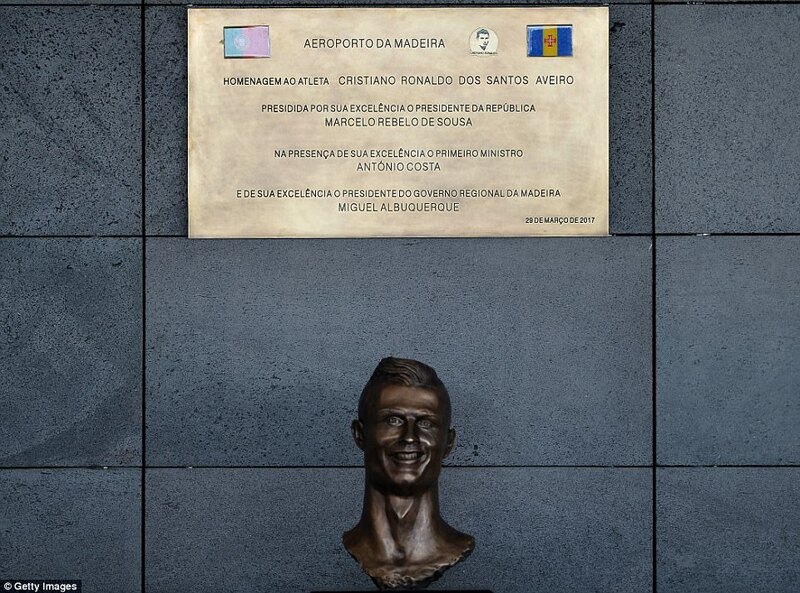 In Madeira, Ronaldo joins George Best in Belfast as the only European footballer with an airport named in his honour. He told an audience of hundreds on Wednesday: ‘Thank you for being here in my honour. Seeing my name being given to this airport is something very special. Everyone knows that I am proud of my country and especially my home city. ‘My friend, I never asked for this, but I’m not a hypocrite, and I’m happy and honoured. I know some people do not agree and I know some people who are not here would be happy for this moment. 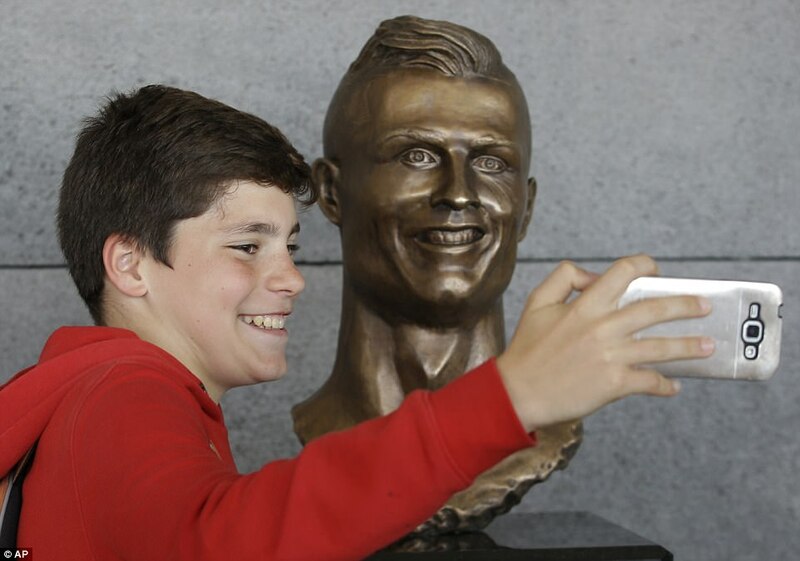 A morning ceremony at the airport was attended by hundreds of locals, including schoolchildren waving flowers and chanting Ronaldo’s name in the hope of a glimpse of their idol. His mother wept in the front row as the renaming received a stamp of approval and was signed off. 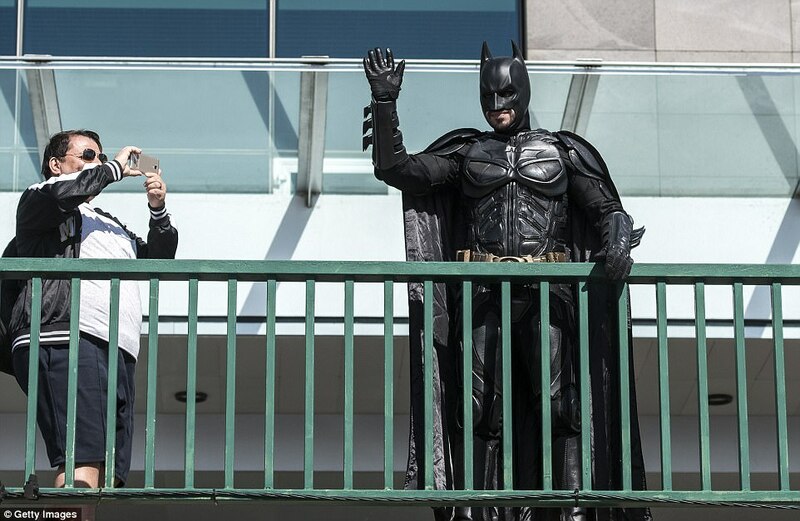 Even a local prankster, who appeared on a balcony dressed as Batman, could hardly steal the spotlight before police whisked him away. 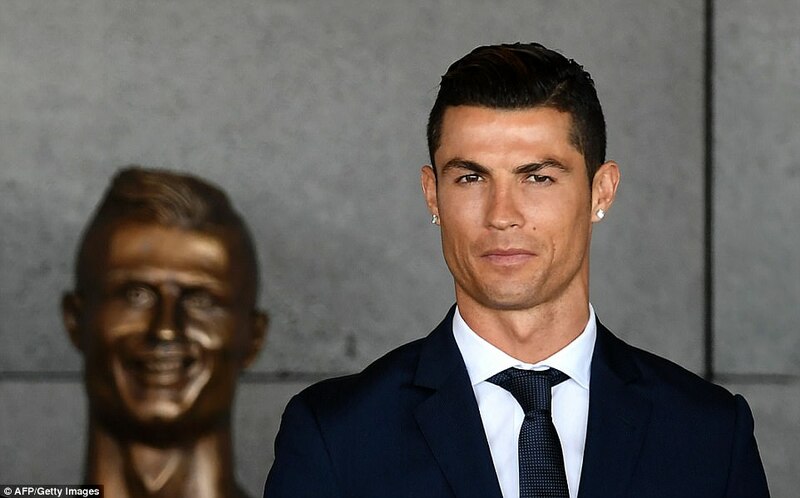 An image of Ronaldo’s face now appears on the airport’s branding, as well as the introduction of the bronze bust outside the arrivals terminal. The 31-year-old hit his 71st international goal in Portugal’s 3-2 defeat by Sweden in Funchal, Madeira’s capital, on Tuesday night. It is the 86th city he has scored in for club and country — back in the country where he played youth football before shooting to fame with Sporting Lisbon and Manchester United. 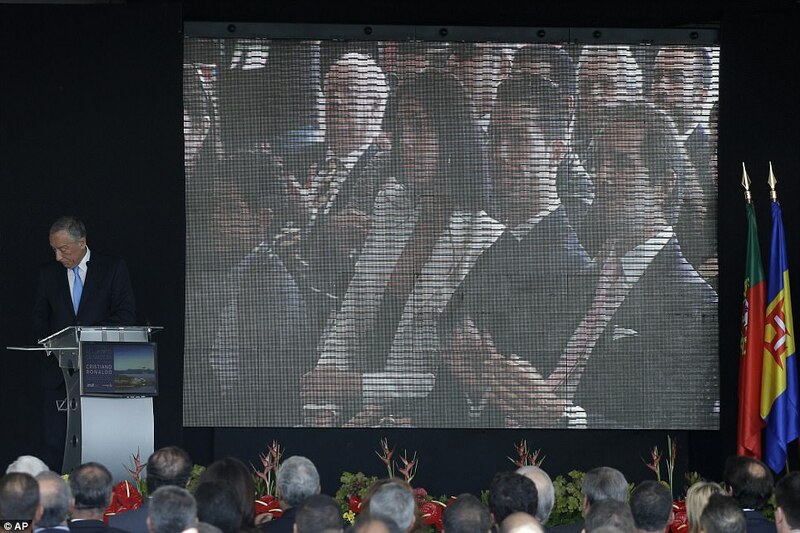 Portuguese president Marcelo Rebelo de Sousa also spoke at Wednesday’s event and hailed the 32-year-old as ‘an example of excellence’. Madeira’s airport is famous for its sometimes hairy landings as planes arrive on the island between the hills and with the added complication of crosswinds. 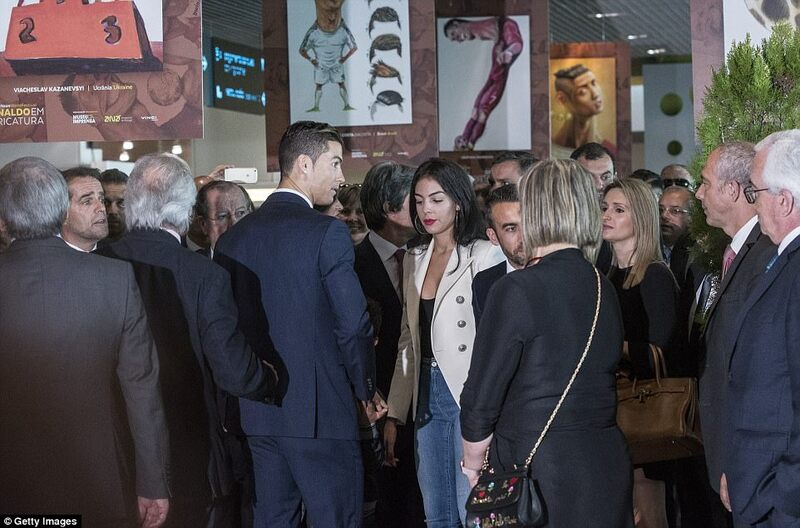 Ronaldo, now with the site named in his honour, jetted off to return to Real Madrid shortly after the ceremony.